Red Bull have announced that they are to appeal Daniel Ricciardo’s disqualification from the Australian Grand Prix. Post-race scrutinizing found that Ricciardo’s Red Bull had been consuming more than the permitted 100kgs per hour that the regulations have set this season, meaning that he was in breach or the regulations and would thus receive a disqualification. 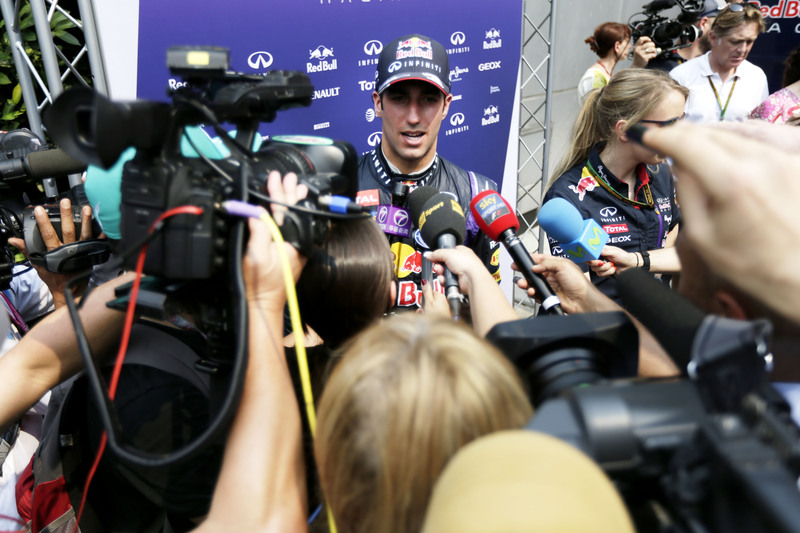 However, a spanner was thrown in the works when Red Bull argued that the FIA was to blame. The equipment which is used to monitor the fuel flow had caused problems on Saturday and led the FIA to change the apparatus before the race, which Red Bull claimed had caused inconsistencies. The stewards spent over four hours deliberating and finally ruled that Red Bull had exceeded the limits. Red Bull disagree and say they are in compliance with the rules, blaming the fuel flow meter for giving faulty data. A statement from the team read: “Following the decision of the FIA that Infiniti Red Bull Racing is in breach of Article 3.2 of the FIA Formula One Sporting Regulations and Article 5.1.4 of the FIA Formula One Technical Regulations with Car 3, the Team has notified the FIA of its intention to appeal with immediate effect. 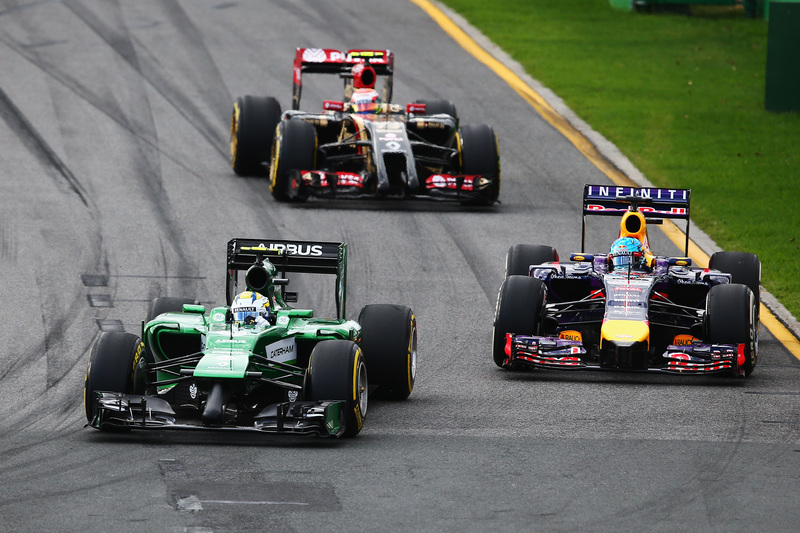 Ricciardo battled for most of the race with McLaren’s Kevin Magnussen who finished third on his Formula One debut. Unusually, Ricciardo was told mid-race that he did not have to worry about fuel conservation. This suggests that Red Bull may have misread the fuel data, or been given faulty information. As a result of Ricciardo’s disqualification, Kevin Magnussen has been promoted to second place on his debut Grand Prix, and his team-mate Jenson Button takes the final podium position. You can see the full report on today’s race here. Nico Rosberg stormed to victory at the season-opening Australian Grand Prix, a race which proved to be all about the survival of the fittest. Pole man Lewis Hamilton and reigning World Champion Sebastian Vettel both retired very early on while two men took to the podium for the first time. Even before the lights went out today, Romain Grosjean had been handed a drive-through penalty for leaving his garage before he was allowed to. The Frenchman suffered through a dismal Qualifying and later opted to start from the pitlane so that his team could work on his car. On the plus side, Grosjean was spared the chaos at the start of the race. Max Chilton failed to take the formation lap when his car simply turned itself off, meaning he had to be wheeled slowly back to the garage while the grid weaved around Albert Park. Two minutes later, Hamilton led the 20 cars on the grid and the 2014 season was very nearly underway – until Jules Bianchi suffered a similar problem in his Marussia and prompted an aborted start. As he too was wheeled to the pits, the grid underwent another formation lap. Finally the five red lights came on, went out, and the nineteen eager drivers rushed forward. 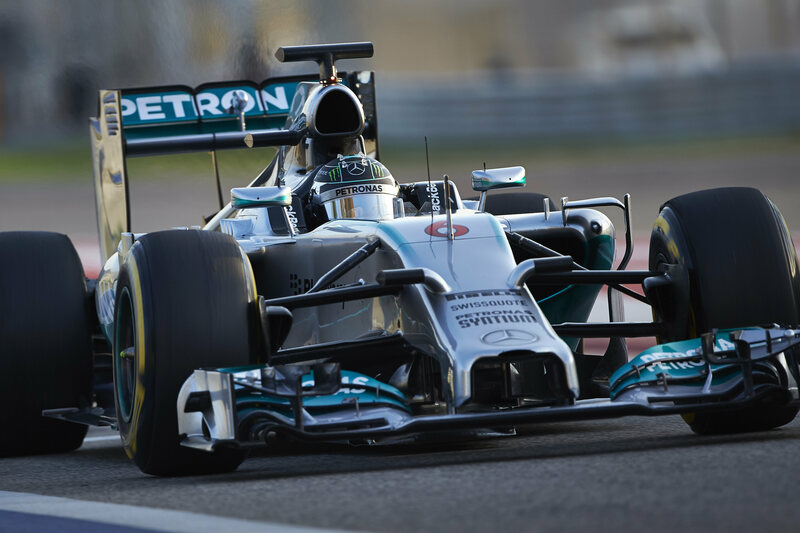 Pole man Lewis Hamilton lost his lead immediately to fast-starting Nico Rosberg while Kevin Magnussen got sideways in his McLaren and missed an overtaking opportunity on local hero Daniel Ricciardo. Kamui Kobayashi, after his absolutely stunning Qualifying performance, braked far too late and smashed into the rear of Kimi Raikkonen’s Ferrari. His front right tyre was completely disconnected from the car, and the left one subsequently came loose when he slammed into the back of Felipe Massa’s Williams, sending both Kamui and Felipe into the gravel and out of the race. Kamui later claimed responsibility for the crash and was eager to apologise, but said that when he pressed the brakes, the car simply wouldn’t slow. 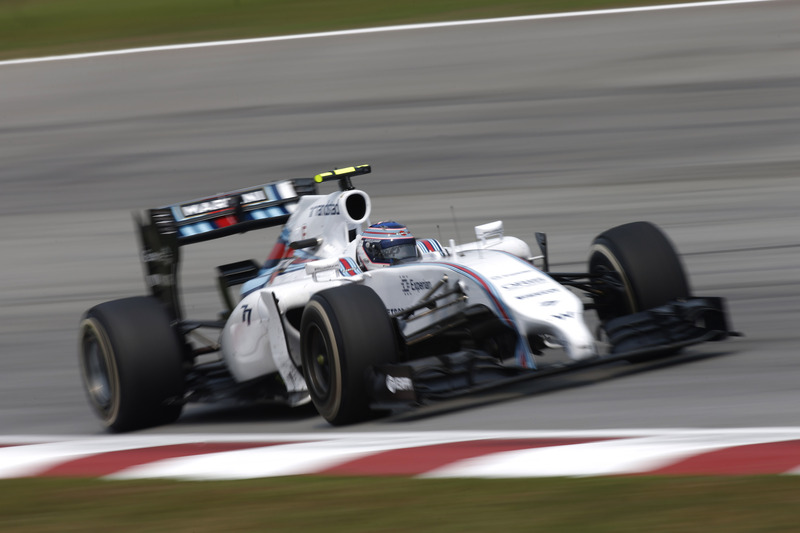 Massa slammed the Japanese returnee, who missed last season, for braking far too late. Pole man Hamilton was dropping down the order fast: his Mercedes was noticeably struggling and it was not long before the team told him to pit to retire the car. He stayed out for a further lap, hoping against hope that the car might fix itself, but inevitably pulled in on lap three. A devastating weekend for the pre-season title favourite. The reigning World Champion fared no better, dropping like a HRT on the front row from his starting position of eleventh, eventually falling behind Max Chilton who overtook him on the back straight. 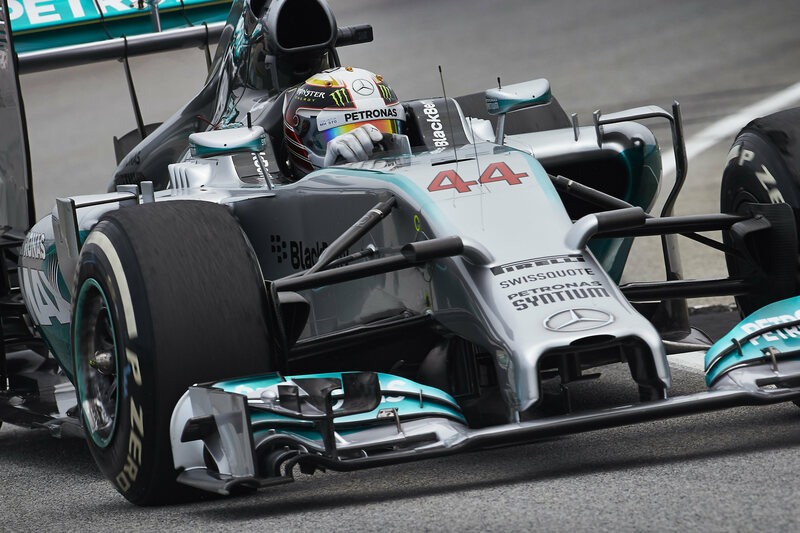 He followed Hamilton into the pits on the fifth lap and started his title defence with a retirement. Kimi Raikkonen and Valtteri Bottas had a nice scrap for P6 with the Williams driver outmaneuvering his more experienced countryman and moving up to sixth. It was the start of a strong race for Bottas and a disappointing showing for Raikkonen’s first race since his return to Ferrari. Once he had cleared Raikkonen, Bottas went in search of the next car down the road, which turned out to be Kimi’s team-mate, Fernando Alonso, who himself was chasing Hulkenberg for fourth. Bottas was closing Alonso’s gap and looking ready to overtake before he slid wide coming out of the turn 10 chicane and whacked the wall, losing his rear right tyre. 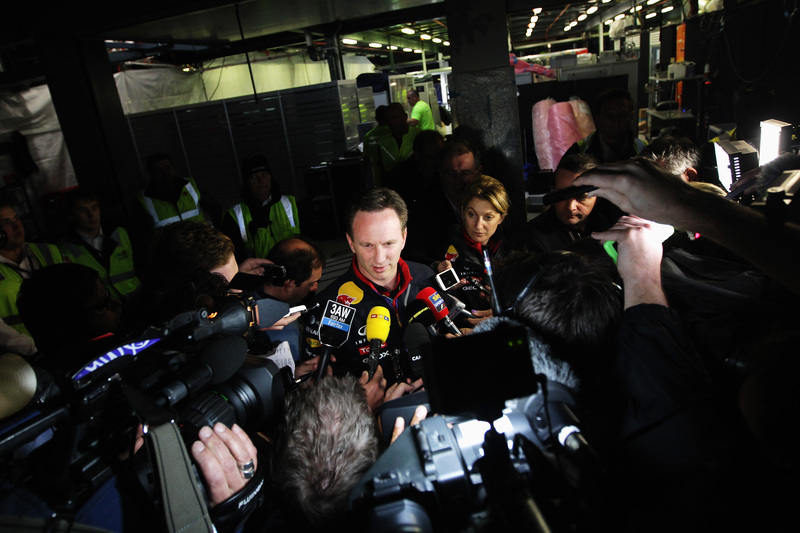 The Finn hurried back to the pitlane where his car was given the all-clear and returned to the race. But as he got out on track, so did the Safety Car which was deployed to give marshalls a chance to clear the debris on the long back straight caused by Bottas’ accident. The Safety Car stint led to an obvious flurry of pit stops as Rosberg, Ricciardo, Magnussen and Button leading the bulk of the grid in for the first tyre change. After a slightly prolonged Safety Car period and the warning of very light drops of rain, the Safety Car came in and Rosberg charged away in the distance ahead of Ricciardo and Magnussen. The race recovery was back on for Valtteri Bottas who began his charge by passing former team-mate Pastor Maldonado for eleventh. Ricciardo was simultaneously told that he did not need to save fuel while Hulkenberg dropped further behind Magnussen and into the clutches of Fernando Alonso’s Ferrari. He was noticeably struggling to keep ahead of the Prancing Horse and suffered several huge lock ups. Bottas moved past Marcus Ericsson’s displaced Caterham when he made his first pit-stop, and subsequently passed Daniil Kvyat’s Toro Rosso for ninth. Raikkonen, who let Vergne passed him following a huge lock up and slide wide, was now in Bottas’ sights. Not long after his pit-stop, Marcus Ericsson compounded Caterham’s bad luck when he stopped his car at turn 4 due to an oil pressure issue. The same fate befell Maldonado’s Lotus which pulled over on lap 31 after a pit-stop. Button didn’t retire after his pit-stop, but did come out without the front tip of his nose after the front jack man accidentally knocked it off when he was lowering the car. Hulkenberg pitted and opened the door for Alonso while Raikkonen went wide in the other Ferrari and allowed Bottas up to 5th place – much to the hidden delight of a noticeably nervous Claire Williams. Alonso was the next man to stop for a fresh pair of boots, swapping the soft compounds for the medium Pirellis, and rejoined the track narrowly ahead of Nico Hulkenberg. Ricciardo and Magnussen pitted and Magnussen hoped to echo Alonso’s overtake through pit strategy. He failed to do so, however, and rejoined the race very close behind Ricciardo’s Red Bull. 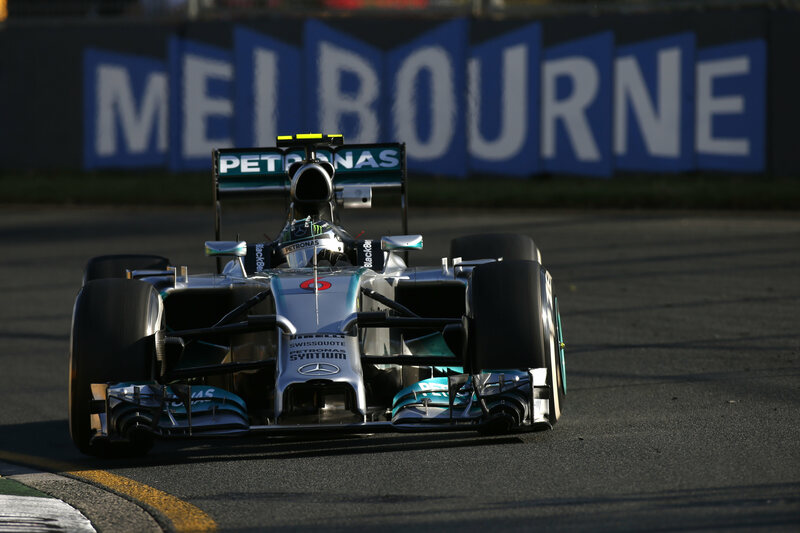 Rosberg pitted from first and had no problem keeping his lead – rejoining almost twenty seconds ahead of Ricciardo. Bottas was closing on Vergne, Magnussen was up Ricciardo’s gearbox but couldn’t pass the Aussie and Daniil Kvyat was closing on Raikkonen. Vergne had a huge sideways moment in the final corner and allowed Bottas to cruise past the Toro Rosso, while Magnussen was first told to save his tyres in case he has to defend against Button, but then told he was free to race Ricciardo. Raikkonen was still defending hard against a feisty Kvyat and overtook the other car of Vergne following another error from the Frenchman. He was subsequently asked to let Kvyat past, but didn’t. Magnussen was unbelievably close and saved fuel for four laps before turning the fuel mix up to catch Ricciardo on the last three laps. He came mighty close but Ricciardo’s home crowd drove him on and Magnussen just about missed out. Nico Rosberg crossed the finish line twenty-five seconds clear of Ricciardo, who led Magnussen across the line – both of whom were on the podium for the first time. Button was close behind his team-mate and finished fourth in the race which he has three times won, followed by Fernando Alonso and Valtteri Bottas. Nico Hulkenberg finally finished the Australian Grand Prix, having not completed a single racing lap in his previous three races at Albert Park. Kimi Raikkonen finished eighth, Jean-Eric Vergne in ninth and Daniil Kvyat in tenth to score points on his first race. 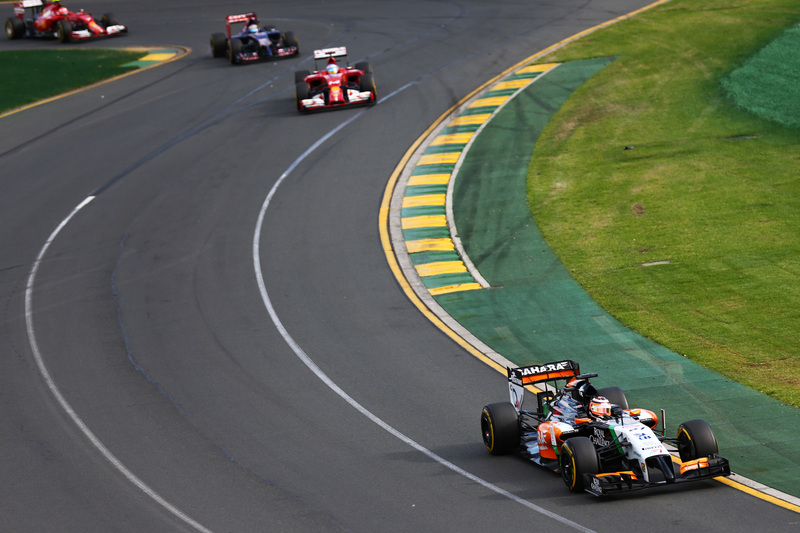 Sergio Perez was eleventh, the Sauber duo of Sutil and Gutierrez twelfth and thirteenth respectively, and finally the Marussia drivers of Max Chilton and Jules Bianchi who, despite their pre-race troubles, made it to the chequered flag.